Ready to receive | Anyone for cake? So much is happening today that I thought I would get in early with todays post. 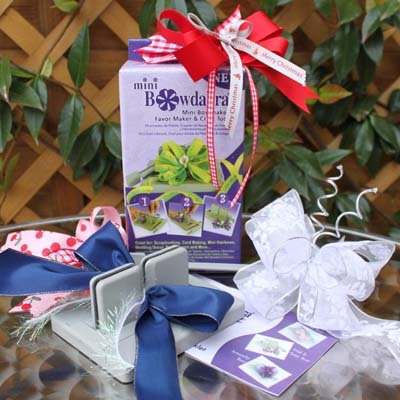 As it's Friday, I have been wrapping up this weeks Friday FREEBIE into great Christmas prezzies to go under the tree, we hope Dorothy's Friday FREEBIE parcel didn't get too squashed last week. 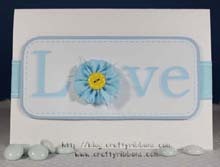 So how do you get a chance to win - easy, leave a comment. Honest it is that easy. 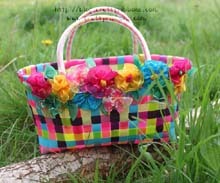 We will pick the two winners from our "Bingo" Bag on Monday afternoon. I say this every week, BUT we really do love reading your comments. So go on make us smile with a comment. 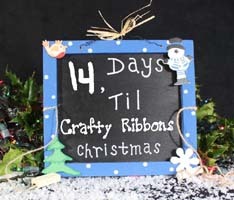 Cor, we only have 14 days to go! 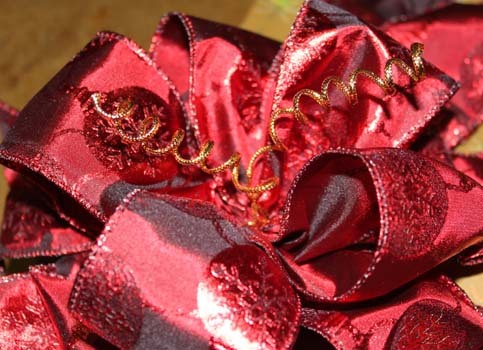 I adore wrapping prezzies, I know some people hate it, but I think it is one of the best bits of Christmas. 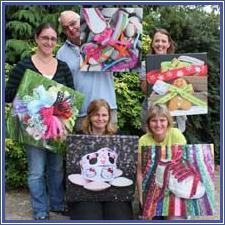 It shows that you have really thought about the prezzie and taken time to make it look really special. 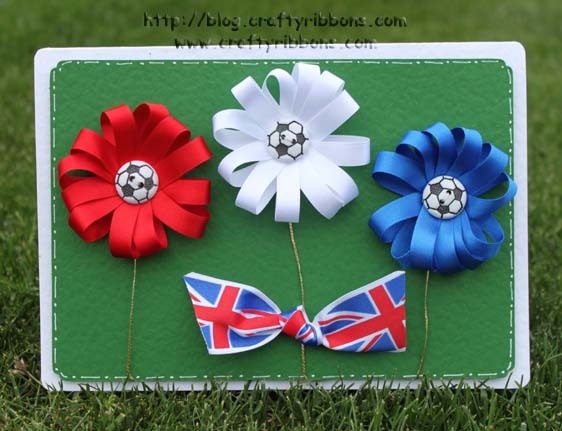 I promised I would show you all how to make these "Pom Pom Bows", this one is on this weeks Friday FREEBIE and could be under your Christmas Tree! 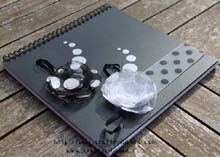 Get all your bits you need around you - Ribbon (lots), scissors, pencil, clear nail varnish, magic cord. Now, I do not use a bow maker but Tony made me this yonks and yonks ago. It's a ribbon holder. 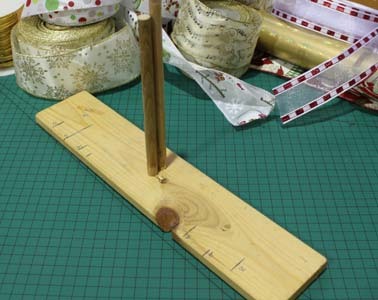 A piece of wood with two dowels placed very close together. 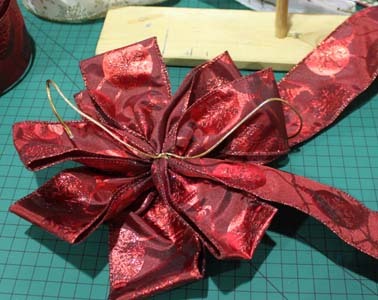 All it does is keep my ribbons nice and tight in the centre of the bow. 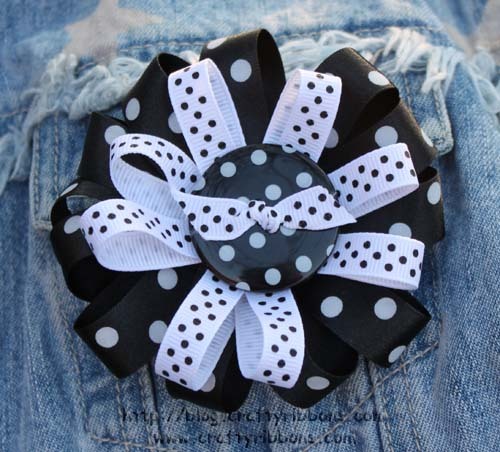 You can make these "Pom Pom Bows" without it, but this makes them so easy to handle. Place the magic cord between the two poles. 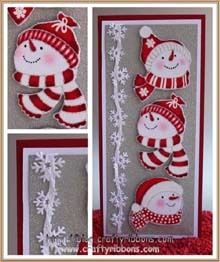 Thread your ribbon between the poles, on top of the magic cord. 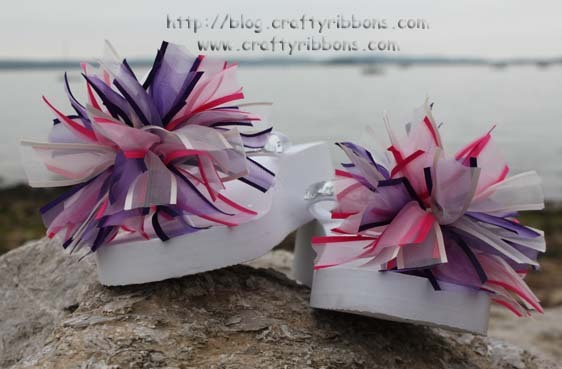 Scrunch the ribbons down, so they sit on the wood. 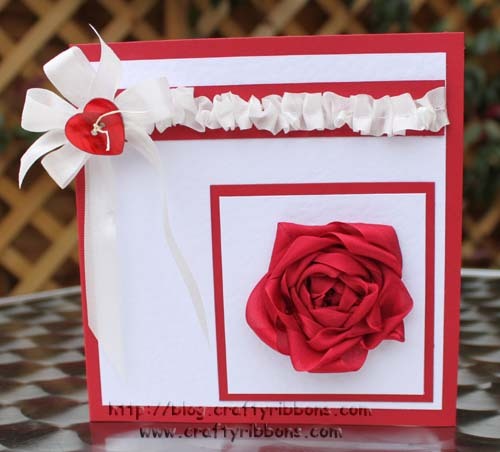 If you are using single face ribbon then you have to twist the ribbon over. You can see in the picture, the right side has the shiny bauble design on it, and the left is dull. 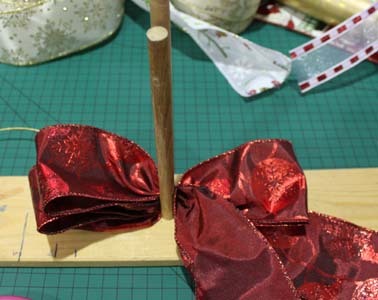 Fold the left ribbon over, so that it forms a loop, (twist again in the centre). 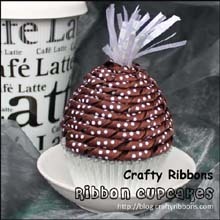 Your loops should be about 10cm if using wide ribbon, you do not want them too large otherwise they flop! 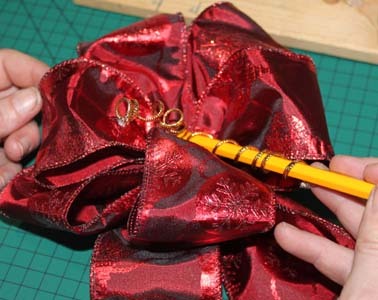 Keep folding the loops over from side to side, so that you have 4 loops on each side. Here I have 2 loops on the left and 1 loop on the right. Four loops on both side. 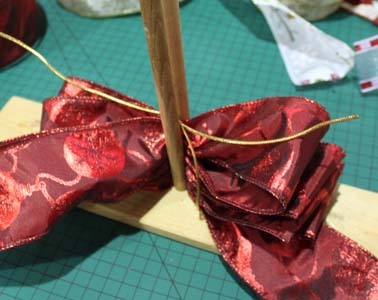 Bring the Magic Cord over the top of the bow and pull very tightly and tie a knot. 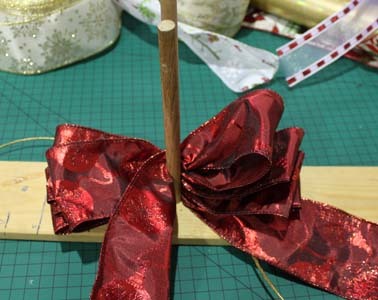 You need the centre part of the bow to be trapped by the Magic Cord it must not come undone. Remove from the ribbon holder. 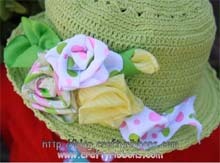 Pull on the ribbon loops and fan them out. 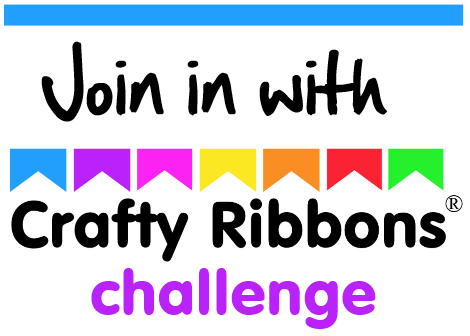 If the magic cord is holding the ribbons together tighly, then you can pull quite hard on the loops to get them to sit evenly. Place your fingers into each loop to make them open up. 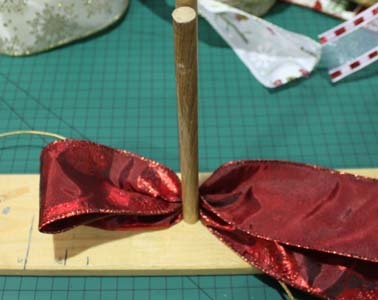 use your fingers to shape the bow. You can be quite firm with it. 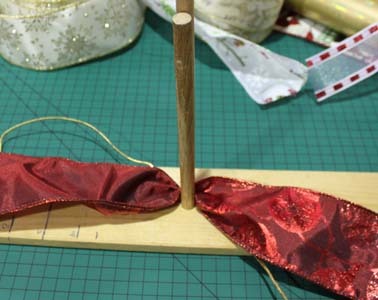 To make the twiddles, place a pencil in the centre of bow and wrap the Magic Cord around it. 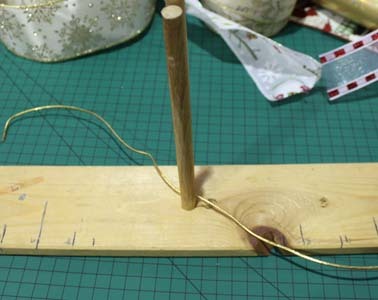 Because of the wire running through the centre of the Magic Cord it will keep it's shape when the pencil is removed. Repeat for the other twiddle. 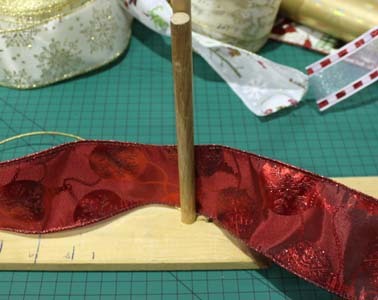 the Magic Cord frays when cut, so seal the edges with clear nail varnish or PVA glue. 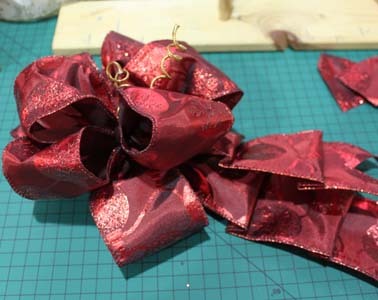 One finished bow, all it is waiting for is me to wrap the second Friday FREEBIE parcel! 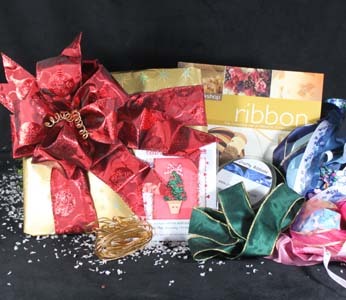 If you want any Christmas ribbons, don't forget your 20% discount off the next 24 hours, all you have to do is enter countdown into the voucher section on the website.